The Crafty Nurse here celebrating Day 28 of the 30 Days Of Christmas here on the Design Team Blog. I am casing Pat's card she posted in the TJ Inkspirations a few weeks ago where she heat embossed the "Winter Foliage" stamp on vellum, then colored with markers on the backside. 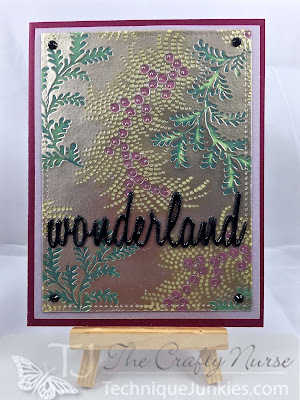 For my card, I embossed with Liquid Platinum powder by Ranger then colored with a combination of Copics and Faber Castell Pit Pens. My sentiment is die cut three times from Tim Holtz's "Holiday Words" thinlits. To add shine, I applied Pico Embellisher Irresistible in Shimmer. 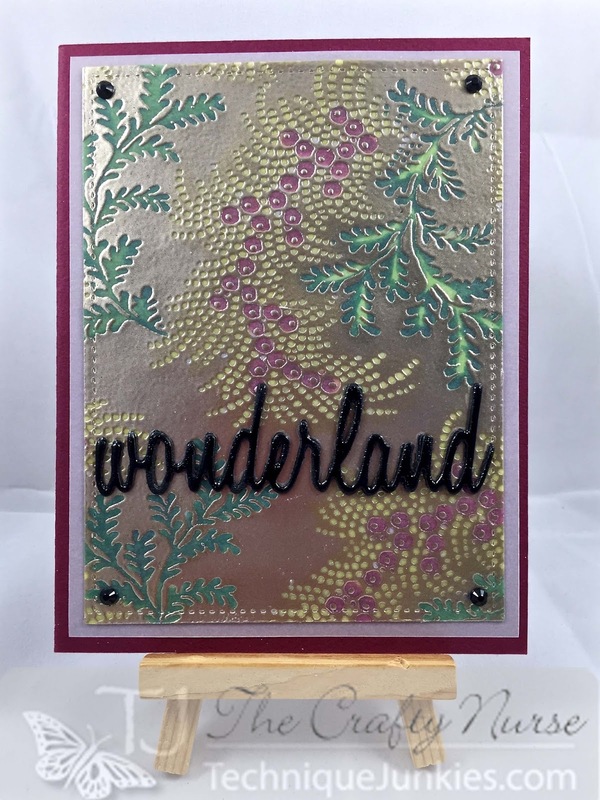 We would love for you to keep following the Design Team Blog for more Christmas ideas using the Technique Junkies stamps. There are only a few days left so we hope you've enjoyed the cards and found inspiration for your holiday card making.